Mr. Stelios Kessanidis is a Technologist and Electronic Engineer, with postgraduate studies in Business Administration (MBA) at WSU, and in Distance Education (MSc in e-learning) from the University of Pireus. He is now pursuing a doctorate degree in the Department of Educational Sciences and Early Childhood Education of the University of Patras. He has also completed courses in «Artificial Intelligence», «Μachine Learning» and «Human-Computer Interaction» from Stanford University, «Computer Technology» from HarvardX as well as lessons in «Developing Android Applications» from the Medialab of the National Technical University of Athens. He is a member of the «Ιnstitute of Electrical and Electronic Engineers» (ΙΕΕΕ), and of Education Society, Communications Society, and of the commitee of IEEE of the University of Pireus. 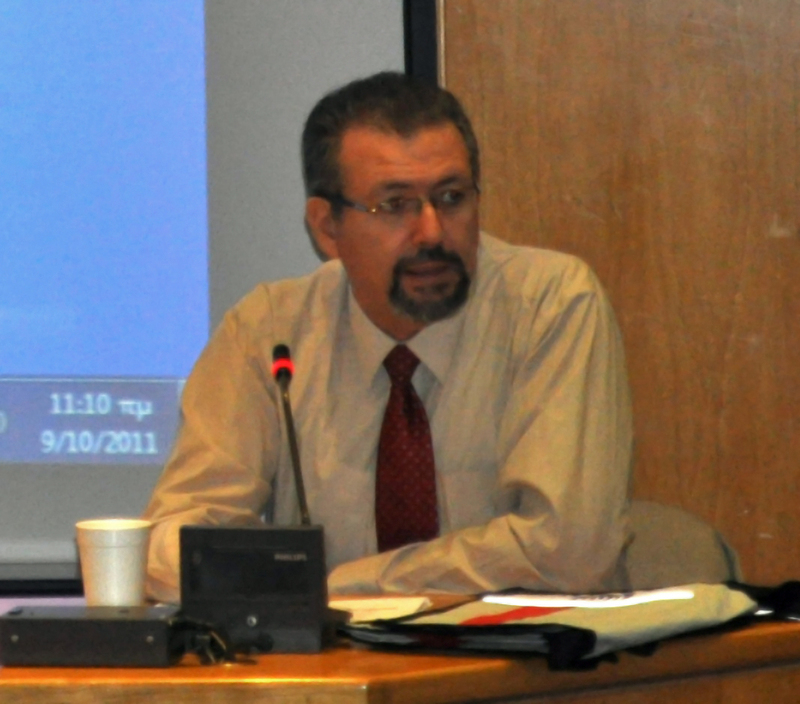 He is a member of the «Association for Computing Machinery» (ACM) at Human Computer Interaction section, regular member of the «Hellenic Association of ICT in Education» (ΕΤΠΕ), regular member of «Hellenic Network of Open and Distance Education» (HNODE) and consultant to the «World Association of Technology Teachers» (WATT). He is «ambassador» of Greece in Scientix organization and works as external evaluator in several European projects. He has more than 85 publications in conferences and magazines (national and international) and has been invited to speak on several occasions. In the past he has worked at TAHACO company as head of the technical department. He established MAGIC company, that was dealing with the construction of machines and automation systems. While serving in the Technical Corps of the Greek army, he made a full study for the complete renovation of an «area service factory» with advanced technologies (recycling of warm air with ceiling fans, melting the roof snow with steam, army camp perimeter security with capacitive sensors e.t.c. ); technology that began being applied in industrial buildings and army installations 20 years after. He wrote articles in Technical Press magazines in the area of technology, informatics and satellite communications. Concurrently he was responsible for the creation and operation of the Research and Development section of the company ERGON. He was behind the wireless part of PAN DRIVE, a project thats aim was to develop a system for route finding and direction of vehicles, before GPS systems existed, and when Commodore and Amstrad were used as computers in the cars. Following this he acted as Technical Director to the Greek part of SAMSUNG, reaching the target of offering on site service within 24 hours and 100% repairation, without the need to bring the item to the main service installattion. 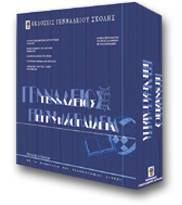 For 15 years he was General Director of Gennadios School Publications, where he created the largest series of Greek educational software titles as well as other kind of software and books, some of them written or translated by him. During this era he was referred to as the «multimedia guru» of Greece. He created the first Greek Computer Game ever distributed in the market in full commercial box (Crisis in Aegean) for which even the foreign press wrote articles. He won a MÖBIUS award for the creation of Gennadios Encyclopedia, which he developed in total and also wrote some of its articles. Several of the educational software titles he developed or of which he directed the development of, are used officially in all schools of Greece and Cyprus. He has also developed four of the software titles that were ditributed together with the «Student computers» at Greek Schools, and are available for free to all students (Physics, Chemistry, Physical Training and Religious Education). He was involved as partner or coordinator in several European Union funded projects, eg MetaBOOK, or Math Write, (for mathematics and other subjects), a very early effort for the development of electronic meta-books for portable Tablet PCs with touch screen computers that do not use a key board or a mouse. 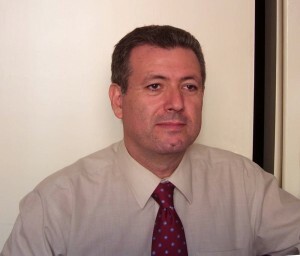 From April of 2008 until present, he is technical consultant at Nea Ekpedeftiria G. Maliaras, teaching Technology, Communication Technology, and research projects in high school and upper high school, and is responsible for the publications of the school. He also works as a consultant in other educational institutes, in the field of ICT, technology, blended learning and e-learning in education. He is a volunteer for the Boy Scouts from 1974. Last years he was an ICT Commissioner for the Main H eadquarters, an Administrator Commissioner, and vice Area Commissioner in Saronic Bay area. He has a son named Panagiotis. He is a student in the school of Information Sciences and Technology at Athens University of Economics and Business, Department of Informatics and a student of Computer Science at University of Passau (Germany). He spends his free time with Scouts, in computers or making videos and web radio streaming shows. 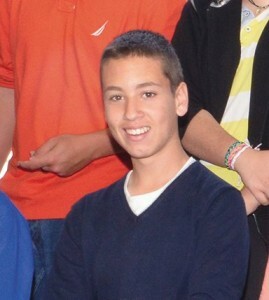 He enjoys sailing, and was an athlete in Kalamaki Nautical Club. Motivation measurement in school population. A case study. S. Kessanidis. 1st Symposium “Hellenic Educational System in International Environment” Maliaras School, Alimos, 10-11 February 2017. The importance of motivation in school achievement. S. Kessanidis, Ι. Gialamas. 2rd International Conference for the promotion of Educational Innovation. EEPEK, Larissa, 21-23 October 2017. Utilization of wikis’ commenting and chatting tools for detecting selfadjusting learning with the analysis of interactivity. K. Katsoulas, S. Kessanidis. 8th. Panhellenic Conference with international participation. “Technologies of Information and Communication in Education”, September 27-30th 2012, University of Thessaly, Volos. A modern asynchronous Internet service in use of education. 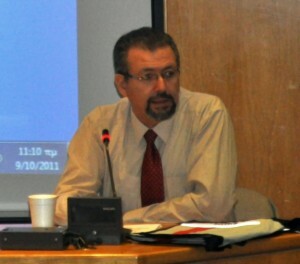 (chair) S. Kessanidis. 6th Panhellenic Conference of Didactic of Informatics, Pedagogical School, University of Western Macedonia, Florina, April 20-22nd 2012. This publication has also been selected for publication in journal of “Themes in Science and Technology Education”. Publication pending. Mathwrite: An Exploration of Touch Screen Mathematics in the European Primary Classroom. B. Holmes, S. Kessanidis et al. In C. Crawford et al. (Eds.). Proceedings of Society for Information Technology & Teacher Education International Conference, Orlando, Florida, USA, March 19th, 2006 (pp. 2254-2259). Chesapeake, VA: AACE. METAbook : a multimedia, interactive electronic book of high school physics. Ch. Ragiadakos, S. Kessanidis, Ph. Konstantinou, N. Papadovasilakis, K. Papamichalis, N. Papastamatiou. 10th Panhellenic conference of physics, EEF, Loutraki, Greece, January 29-31st– February 1st 2004. METAbook: first stage of creating a multimedia, interactive electronic book of high school physics. S. Kessanidis, Ch. Ragiadakos, Ph. Konstantinou, N. Papadovasilakis, K. Papamichalis, N. Papastamatiou. 2nd conference for the use of information ICT in didactic praxis, Greek Science Union of ICT in education, Secondary education office of S. Cyclades, University of Aegean, Syros, Greece, May 7-9th, 2003.